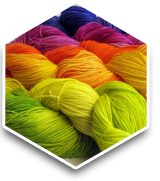 Functional polymers are used for their binding properties in industrial applications such as fiber bonding, technical textile and adhesive production. 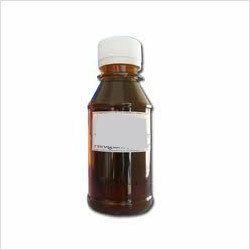 We offer wide range of portfolio of aqueous acrylic, vinyl acetate based polymer dispersions. These are easily separable from low molecular weight compounds by simple filtration. The cross-linked polymer is easily cleaned off from soluble reactants and products. Their properties can be modified either by chemical reaction on pendant groups or by changing the physical nature of polymers. It enables to make adhesives for highly demanding products such as protective foils from high- hold to easy peel solutions with no staining. We employ quality sealants, which helps in formulating low odor sealants with superb adhesion properties on metal surfaces. The Dispersant is suitably used in paints to disperse the solid material easily with adequate stability. The dispersant is processed to deflocculate solid particles excellently and lower the viscosity of dispersion. These dispersing agents are essentially used to produce stable solution without leaving space for viscosity instability. It is a non-surface active polymer that is extremely good at dispersing inorganic materials from various adhesives and paints. Thurs Hi 850 is a very low foaming light -coloured dispersant in solution form with excellent dispersing activity on a variety of inorganic pigments and clays in aqueous systems. It is especially useful in systems involving dispersions of inorganic solids such as titanium dioxide and extenders. It has demonstrated superior performance in formulations in which reactive pigments, such as zinc oxide or basic lead silicate are incorporated imparting improved stability to such systems. Thurs Hi 850 is only soluble in very polar solvents such as water, glycerin and ethylene glycol. For maximum effectiveness Thurs Hi 850 should be used in systems at pH 9.0 to 10.0 However, in specific cases, good dispersion can be obtained at lower pH values. Thurs Hi 850 is quite specific in that it does not disperse organic solids such as carbon black, organic pigments or dyestuffs. 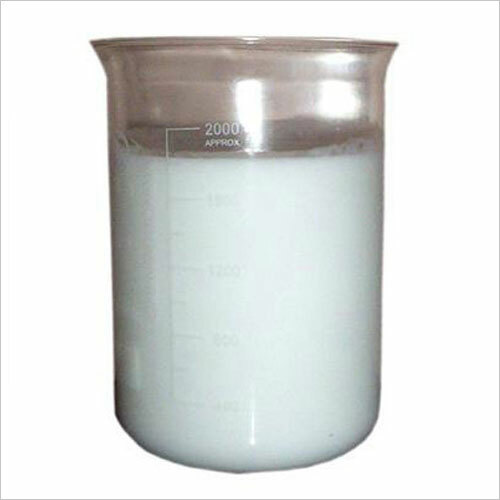 The Thickener is used in aqueous solution manufacturing processes to improvise the viscosity of liquid solution to make them easily applicable. This formulation precisely enhance the suspension of emulsions and ingredients. These chemical additives strengthen the stability of the product along with uniformity as well. 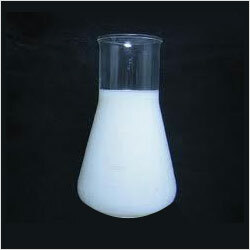 Thurshase D is an acid –containing, cross linked acrylic emulsion copolymer. When the emulsion is diluted with water and neutralized with a base, each emulsion particle swells greatly. The Emulsion clarifies under these conditions and becomes highly viscous. Once neutralized, solutions of Thurshase D cannot be reverted to emulsion form as a reduction in pH will precipitate the polymer. Solutions of Thurshase D salts are more similar in properties to solutions of the natural gums of higher viscosity grades of water-soluble cellulose derivatives than are other grades of acrylic thickeners. Solutions are prepared for use rapidly since neutralization occurs instantaneously with a variety of standard bases. Handling is greatly simplified, compared to that required with powdered natural or synthetic gums. Solutions of Thurshase D effectively suspend pigments, abrasives and other finely divided solids. Unlike conventional thickeners, salts of Thurshase D have little flocculating action, thickened latices are free of any creaming tendency and aqueous suspensions are free of sedimentation. Solutions of Thurshase D are also compatible with soaps, synthetic detergents and dispersing agents. The multivalent cations such as copper, aluminium or iron may cause turbidity to appear in Thurshase D solutions., however, at high concentrations, these cations will precipitate the polymer. The Acrylic Binder used in paint manufacturing process that helps in drying paints swiftly. This formulation makes paint soluble in water, but on getting dry it becomes water-resistant. These binders are processed using graded acrylic polymer emulsions, which bring in viscosity in the paint. The binder possesses coloring properties to paint and helps in optimum color retention without causing any yellowing and de-colorization. Available Brand : 295-D, which offers excellent adhesive strength to the paint.